Welcome to the digital archives of Woodridge, hosted by the Woodridge Public Library. Here you'll find a timeline of the Village, some of our earliest newspapers, and historical photos of Woodridge. This is a work in progress and we'd love to hear what you think of it and what you'd like to see. Many of the photos on our Flickr galleries and the timeline were donated to us by the Downers Grove Historical Society. These photos were originally in the Woodridge Progress. We're working on digitizing more and adding commentary on them. The Library has a Local History collection that includes much of the information below and more. 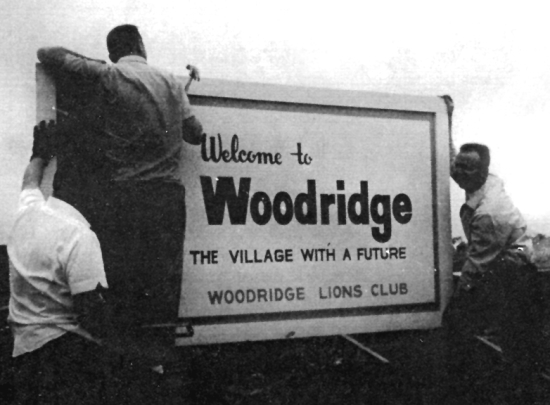 We hope you enjoy a trip through the history of Woodridge and that you learn more about our wonderful community! Explore historical photos from the Village's history on Flickr. Early newspapers. These predate the Woodridge Progress. These papers were donated to the Library by community members. The project to digitize this newspaper was generously funded through the Friends of the Woodridge Public Library. The Library has back issues of the Woodridge Progress in print and on microfilm, as well. 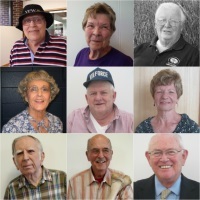 Teen volunteers interviewed longtime Woodridge residents this past summer as part of the Woodridge Public Library Local Oral History Project. These interviews capture details and viewpoints not often found in traditional records. Our community members shared their memories of Woodridge, what brought them here, and the ways they've seen the village change. The interviews will remain part of our online Local History section. Read about the participants and listen to the stories that make up the Oral History Project.